We are finally into the New Year and I thought I’d do a quick wrap-up and status update of the staggering success of this blog. 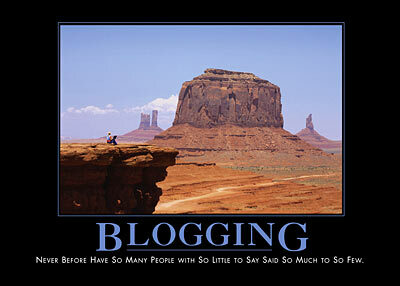 I’m not really the blogging kind as many of you have experienced. And I believe I’ve mentioned something about that in a previous post (or maybe it was a thought that never left my head), how I lack a clear narrative or a voice. Or whatever it is people call it when their writing actually makes sense. So, why am I doing this? Well, mostly so I can answer my own questions, like this one, and talk to myself endlessly about things I care about. Does this mean I am an egotistical self-loving narcissist that doesn’t thinks those words pretty much mean the same thing? I’d like to think the answer to that is NO, but I do like when people occasionally stop by and read what I write, whatever the reason may be – genuine interest, boredom or even pity. Either way, do comment sometimes, as it’s always more fun to think of you as a real person, not just a statistic in my google analytics account. Average time on site: 2 min 33 sec. Top 3 posts: Save the Rich (which is a reblog), Glögg making fool and Basement Rockstars. The visitors came from 22 different countries, with Sweden, US, Poland, United Kingdom and Germany being the top 5. I hope you all had a really Happy New Years and that the coming year will be even better. This entry was posted on Friday, January 2nd, 2009 at 12:14 am	and is filed under Deep Thoughts. You can follow any responses to this entry through the RSS 2.0 feed. You can leave a response, or trackback from your own site. Piotrek, keep writing! I do love your blog, not only because it’s easier to read than the Swedish one:). I think you really have a talent for writing about literally anything and making it interesting! Is English really your second language? Or did you learn it along with Polish and Swedish at the same time? Because wholly crap, dude, you have a way with English words. You’re way to kind Jess It’s actually my third, but who’s counting really. I have monkeys write my posts anyway, they deserve all the credit. I don’t speak or write good. Det gläder mitt gamla Cliff-hjärta att Basement Rockstars hamnat så högt i statistiken.